There are those special pictures you took last summer. They have always been on your iPhone until today you checked and you could not find them. Your kid probably deleted the when he/she took your iPhone last night. The photos were on your iPhone probably because they meant a lot to you. You would want to know whether it is possible to recover the photos on your device itself. In this article, we will be focusing on showing you how to recover your photos. You have probably searched online for an iPhone photo recovery app but you could not find one. Why did this happen? Is there an iPhone photo recovery app hidden somewhere on the internet? Find the answers to these questions below. Part 1: Why I Cannot Find Any iPhone Photo Recovery App through Google? Currently, Apple has very strict restrictions. You won’t have the ability to find an iPhone photo recovery app that you can download to your iPhone. 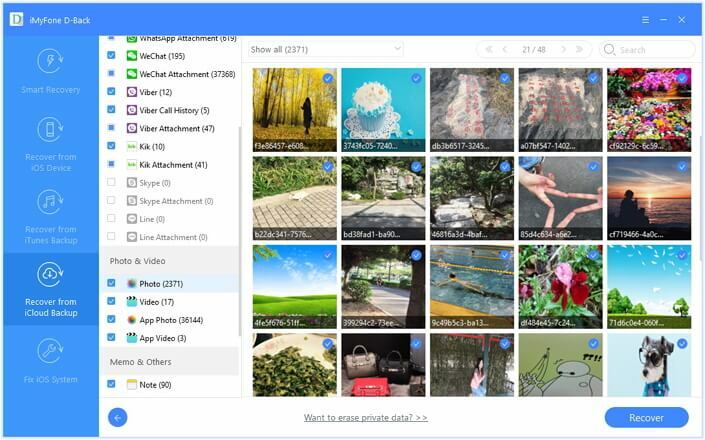 This is the reason that you can’t find any app on Google that can help you recover your photos on iPhone. However, the fact that you cannot find an iPhone photo recovery app on Google does not mean that your deleted photos cannot be recovered. Desktop programs designed to help you with recovering your photos on your iPhone are available. We will introduce the best iPhone photo recovery tool in this article. [Must-Read] Where Do the Deleted Files Go on iPhone? It will allow you to recover your data from your device and your backups. It can recover the data from both iTunes and iCloud backups. You get to recover all types of data. The data you can recover will include WhatsApp, Photos, WeChat, Kik, Viber, Line, Messages, Contacts, Notes, and others. The tool is built using advanced technologies. This means that it can locate any data on your device or backups irrespective of how you lost it. Since the tool supports all iOS devices, it makes things much easier for you. 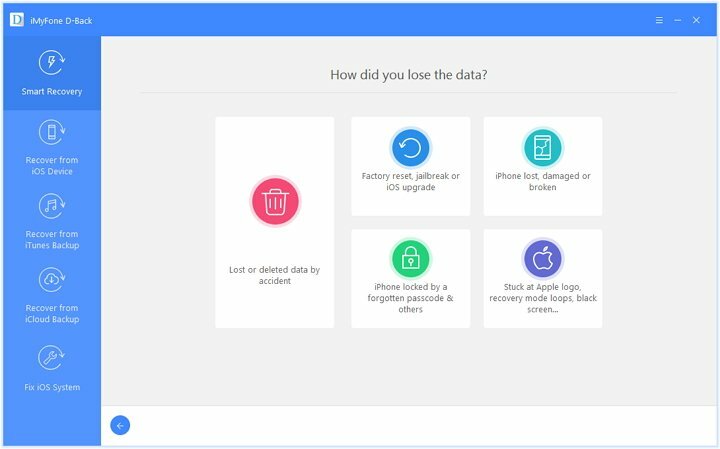 You can use the tool to recover the data you lost on a device running on iOS 12, iOS 11.4, iPhone Xs, iPhone Xs Max, iPhone Xr, iPhone X and iPhone 8. You might not want to use iMyFone D-Back because you are not sure whether it will work. 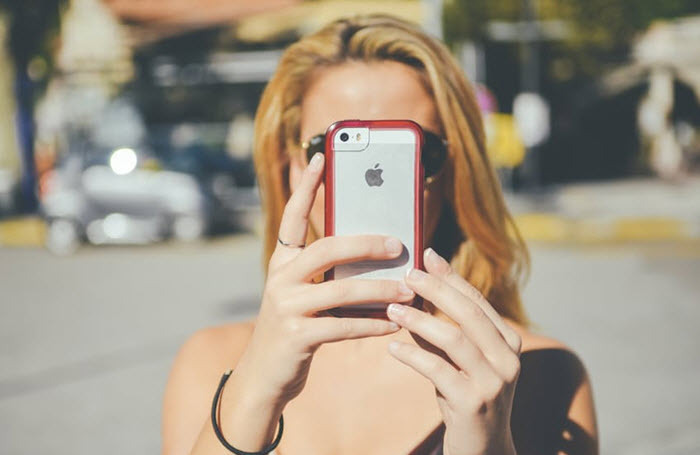 After all, you cannot see your photos on your iPhone, how will the tool find and recover them? You don’t have to be worried about whether the tool works. You can try it out and determine whether it works before you pay for it. Its trial version is available for free. The trial version will, however, allow you to view your photos but will not recover them. To recover the data, you will need to upgrade the tool. We guide you on how to use iMyFone D-Back to recover your photos. Step 1: Launch iMyFone D-Back and tap Recover from iOS Device. Tap Start. Step 2: Connect your iOS device and tap Next. On the next screen, choose the files you would like to recover. Here, you can select Photo. Tap Scan and wait as iMyFone D-Back locates your photos. Step 3: After the scan, you can preview your photos. Select “Show only the deleted files” to view the photos which have been deleted on your device. Select the photos that you want to recover and then tap Recover. Choose the storage location for the recovered photos on the popup that appears. Step 1: Launch iMyFone D-Back. Tap recover from iTunes Backup on the left-hand column and then click Start. Step 2: Select the iTunes backup that you think might have the photos you lost on your iPhone. Tap Next. If the iTunes backup you chose was encrypted, you will have to enter a password before iMyFone D-Back can scan it and locate your photos. Step 3: In the next screen, you will have to select the data you want to recover. Select Photo and then tap Scan. Allow iMyFone D-Back some time for it to scan the backup. Step 4: The data you can recover will be displayed. You can select “Only show the deleted files” to view the files you have deleted. Select the files you want to recover and then tap Recover. Choose the path where you want your files to be recovered to. Step 1: Launch iMyFone D-Back and click Recover from iCloud Backup. Tap Start. Step 2: Fill in your Apple ID and password on the next screen so that you can download the iCloud backup that has your Photos. After logging in, iMyFone D-Back will display all the files you have in your backup. Select the iCloud backup that you think might have your Photos. Tap Next. Step 3: In the next screen, choose Photo as the file you would like to recover and then tap Scan. Step 4: After the scan, you can preview the photos available in your backup. 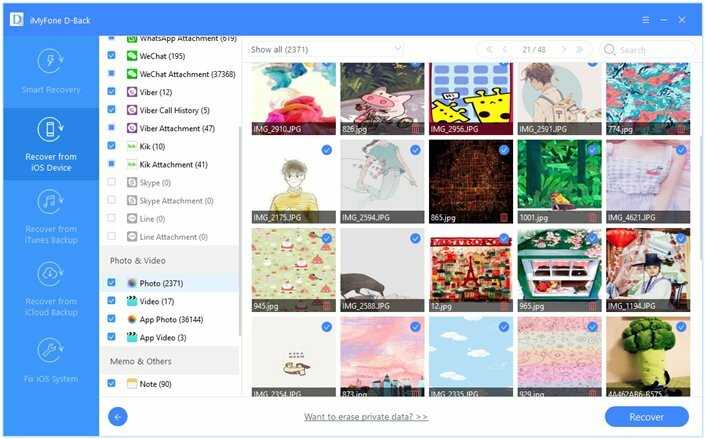 Select the photos you would like to recover. Click Recover and choose the storage location for the recovered data. The fact that an iPhone photo recovery app is not available is not a great thing. Actually, we feel sorry to inform you this. However, it is possible to recover your photos using a desktop tool. The best tool to use is iMyFone D-Back. This is a tool that will work on both Windows PCs and Macs and will help you recover your Photos irrespective of the iOS version you have on your device. We would like to hear from you. Please feel free to leave comments below.